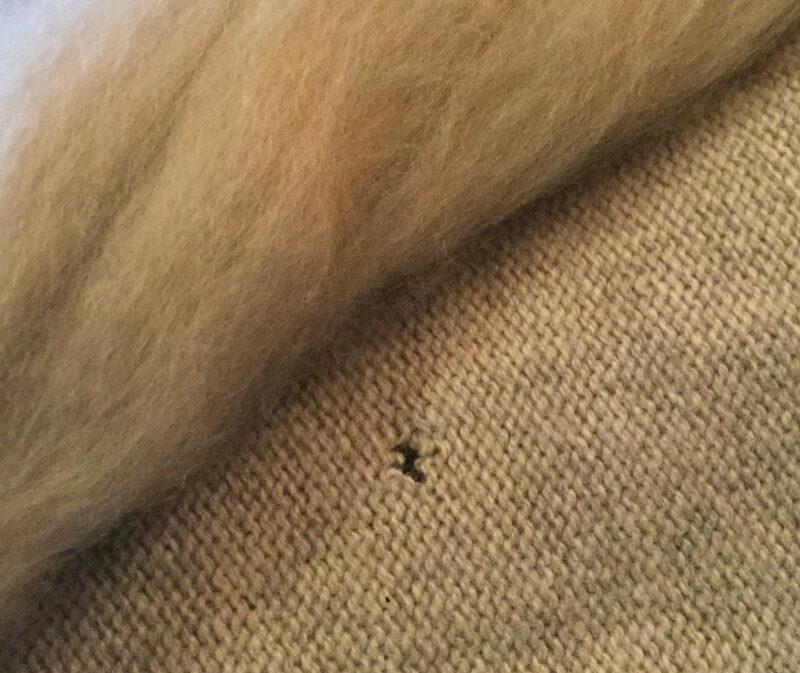 This sweater has a hole in it. The yarn is a pretty standard guage, but the material is 100 percent cashmere, so getting the yarn is a little less trivial than popping round the local yarn store (which is pretty good, but a bit small). So I said, “get me some fiber,and I’ll see what I can do”. This is what arrived in the post today, from Bulgaria. Since only a little bit of yarn is needed to effect the repair I have a fair bit of wiggle room, which is good because commercial yarns are actually pretty complex. Modern manufacture tends to be done with streams of air, at high pressure, to create a vortex; and a pressure, into which fiber is fed, and then, with a relatively low twist, coheres to make a fairly smooth finished woolen yarn; often very fine; and often plied up in larger numbers (the last skein of Red Heart I looked at was a 6-ply) which makes a very smooth, and round, yarn. It also gives those yarns a very ‘bouncy” quality. Me? I’m a semi-worsted spinner. So I’m in the less comfortable range of my spinning. I’m going to have to stretch my comfort zone. 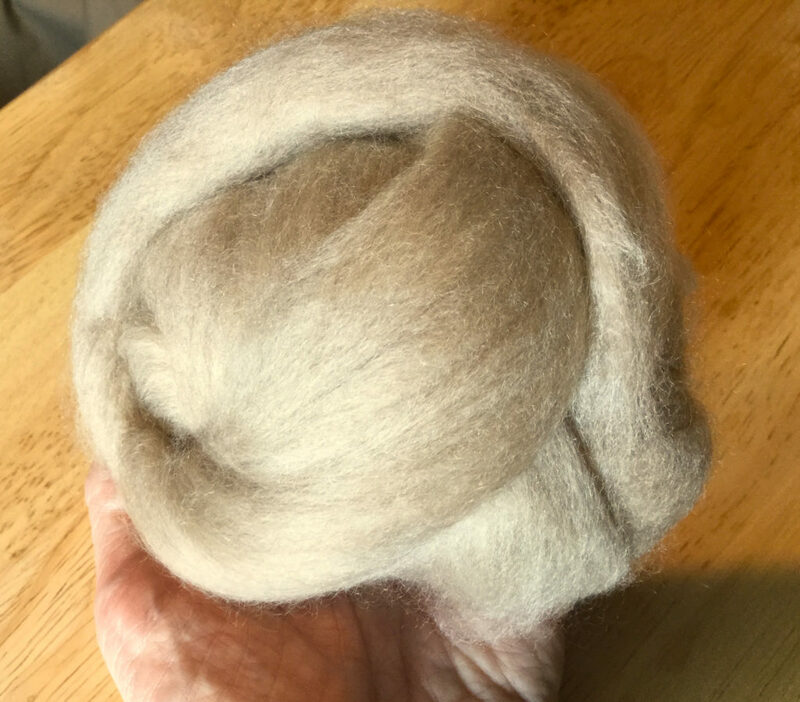 I’ll probably spin up a couple of short (maybe 5 yds ea) yarns, with different rates of twist/grist, and see if I can spin a loose, fine, low twist yarn, which I can make round and bouncy. Ideally, I will manage to spin some superfine, and six-ply it (using two very different lazy-kates, and make it almost impossible to see the repair.